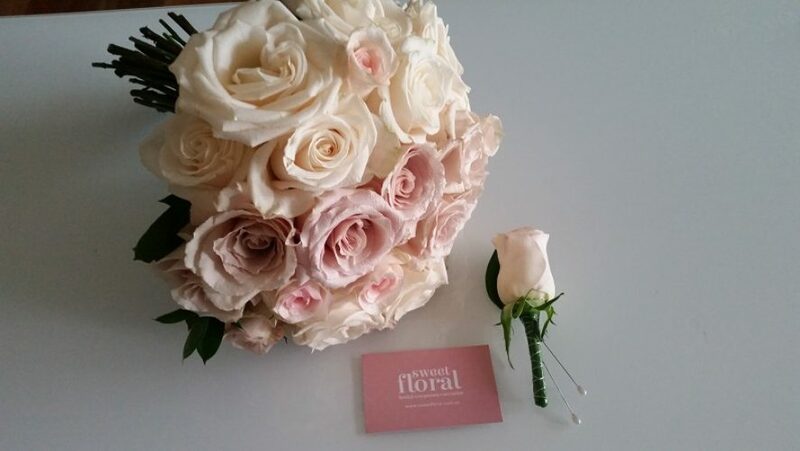 A busy weekend for Sweet Floral. Beautiful blooms in abundance. 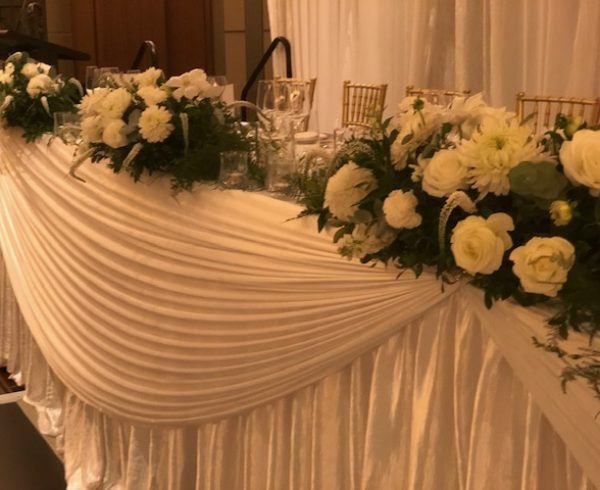 Home Wedding Reception Displays Bridal Table A busy weekend for Sweet Floral. Beautiful blooms in abundance. 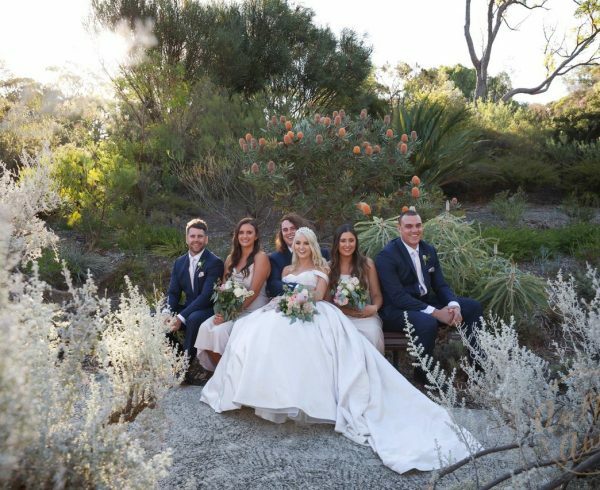 Beautiful blooms in abundance for 4 brides and 5 weddings. Wow what a weekend that was, absolutely non-stop on Friday, Saturday and Sunday. 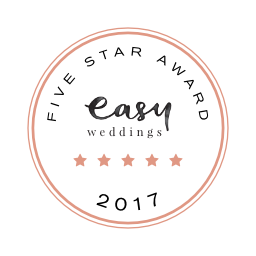 4 lovely brides and 5 amazing weddings. 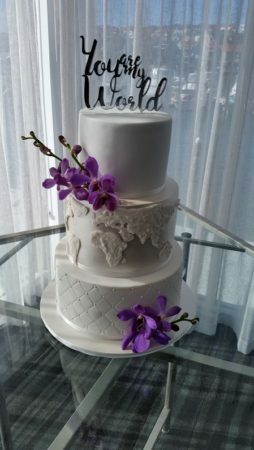 Lucky Sarika had not just one wedding but two! 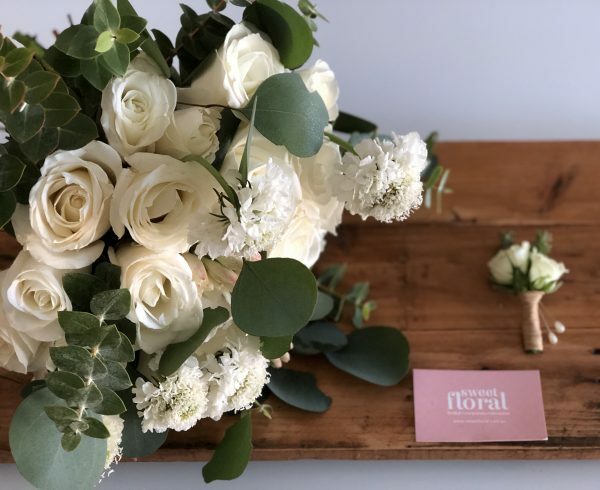 Beautiful blooms delivered to Ellenbrook, Burns Beach, Fremantle, Sandalford Winery, Mulberry on Swan and Mindarie Pavilion. 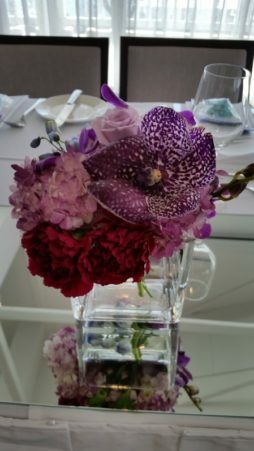 The vibrancy and beauty of all the flowers was stunning. We just hope our photographs do them justice. 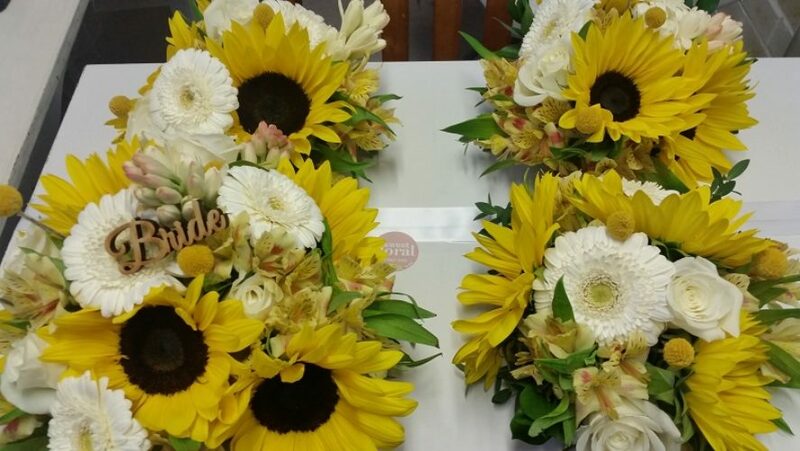 First visit on Friday was to deliver Christine’s flowers to her home in Ellenbrook. Christine was having her hair and make-up done when we arrived but she jumped up from her seat to see her bouquets. It really makes it all so worth while when you get such a genuinely excited response. 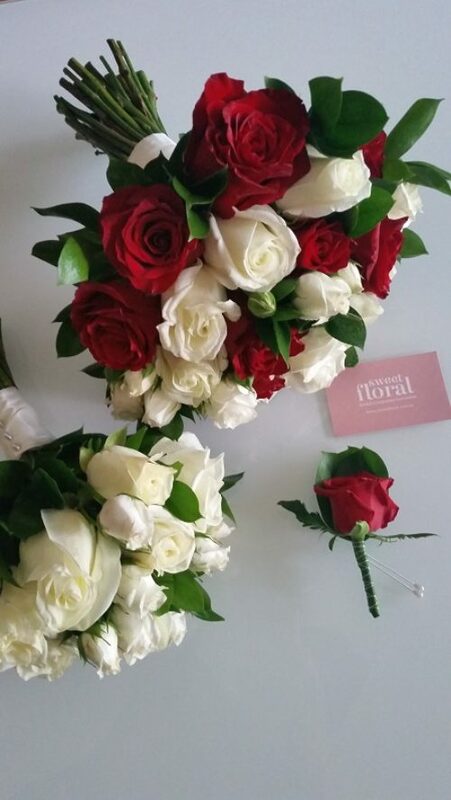 Below is our photograph of Christine’s medium textured bouquet with white and red large head Roses with little white spray Roses to give a classic look finished with soft greenery and ribbon down the stems. 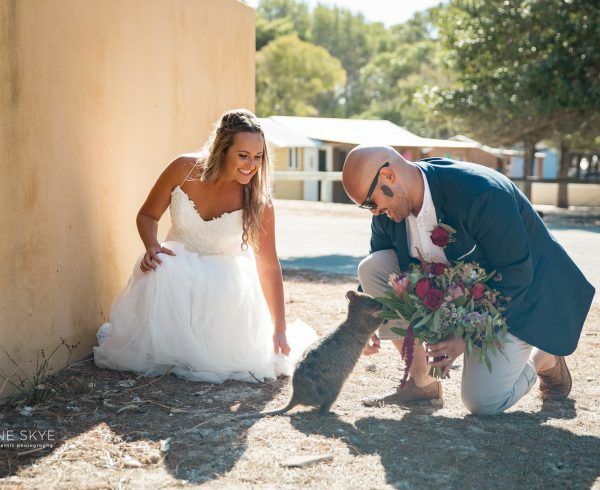 After lunch on Friday it was off to the Kidogo Arthouse in Fremantle for Sarika and Chawa’s Indian Wedding. The Kidogo Arthouse lends it self perfectly for a casual beachside wedding. 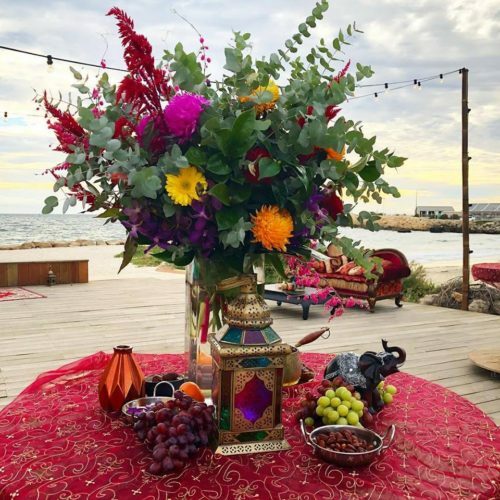 Great on this wedding to be working once more with Holly and Sarah the amazing Wedding and Event planners from Confetti & Co. Holly and Sarah’s brief was “Eclectic and lots of colour” for a joyous outdoor occasion. The display below was certainly that! Sharon and Tonita Photo and Video. On Saturday it was a journey up to Burns Beach to deliver Sharon’s bouquet. 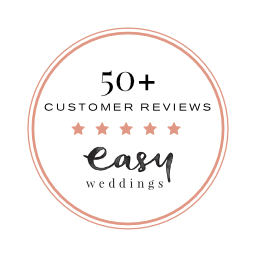 Our photograph below portrays Sharon’s medium soft textured bouquet with soft tones of pinks with Roses and seasonal flowers and soft greenery finished with ribbon down the stems. 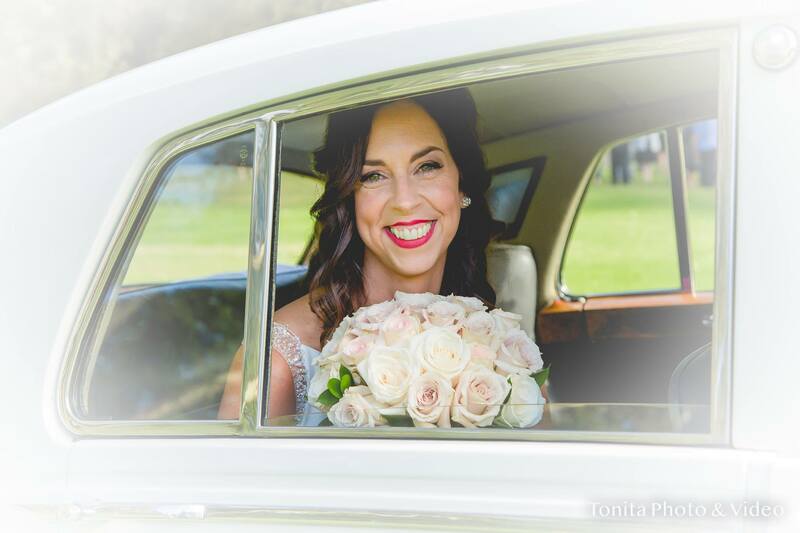 Sharon and her bouquet were also captured beautifully by Tonita Photo and Video in the photograph at the head of the post. Thank you Tonita, a great picture! 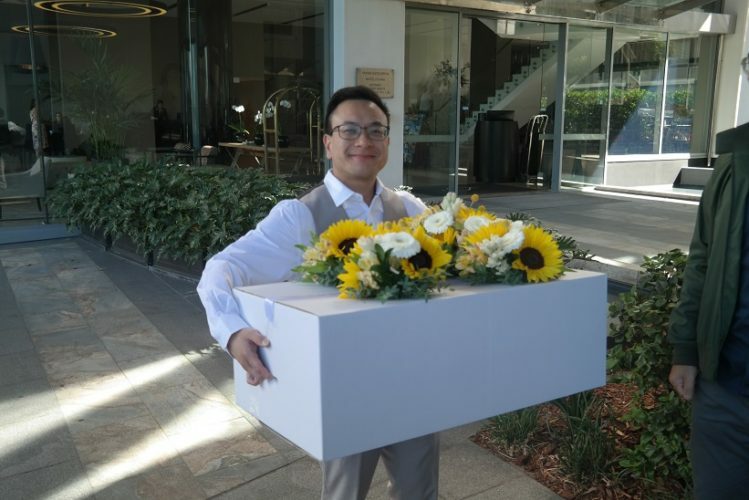 Later in the day it was off to the wedding venue, the stunningly located Mulberry on Swan, to deliver the rest of the wedding flowers for Sharon and her groom Vladimir. 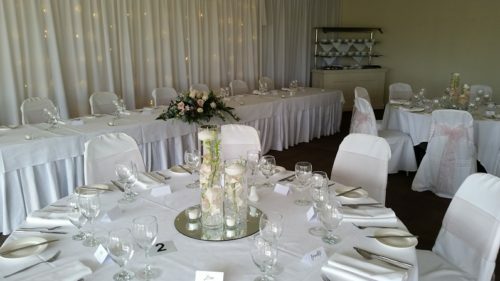 See our photographs below of the bridal table long and low, and the table arrangements. 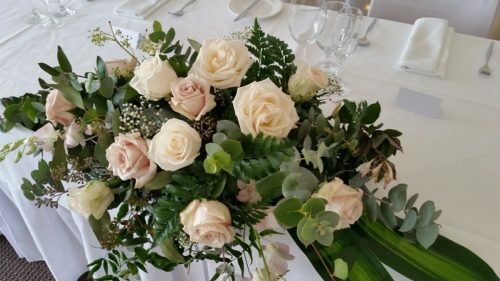 Sunday saw an early morning visit to deliver the wedding bouquets for the wedding of Annette and Patrick. 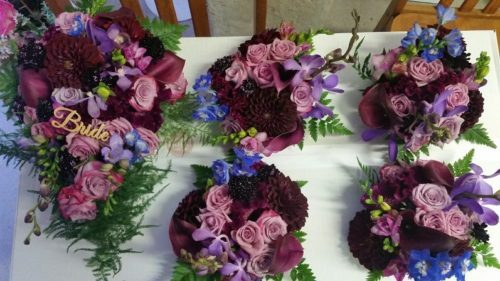 The bouquets were left in the safe hands of one of Patrick’s groomsmen. 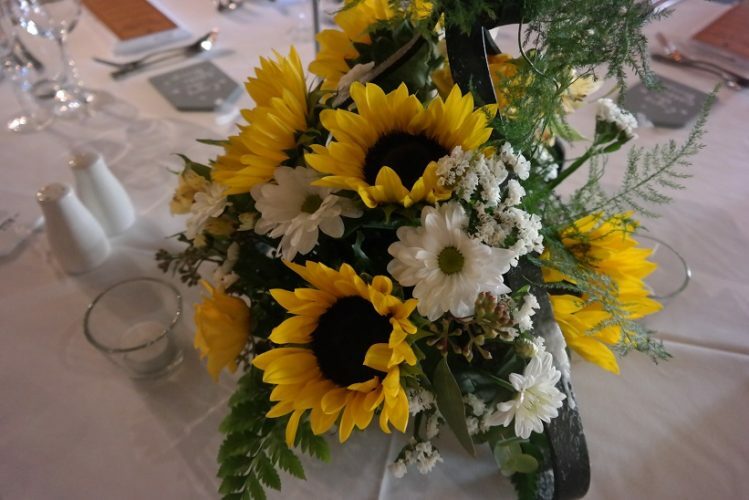 Annette chose a medium posy style bouquet as per your photo of Sunflowers, yellow Alstroemeria, white Roses, small white Daisy finished with ribbon down the stems. 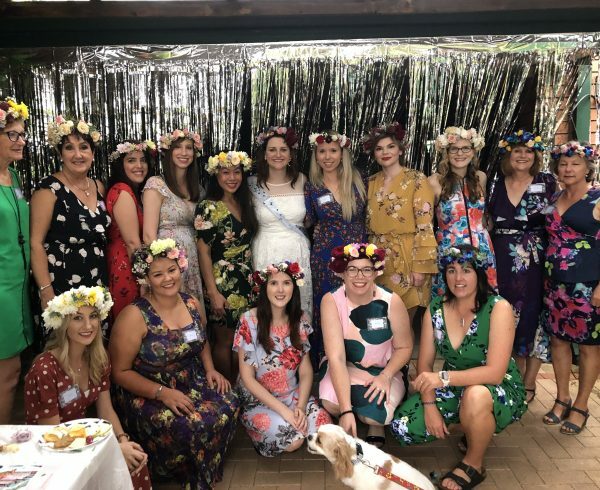 Her bridesmaids had smaller versions. 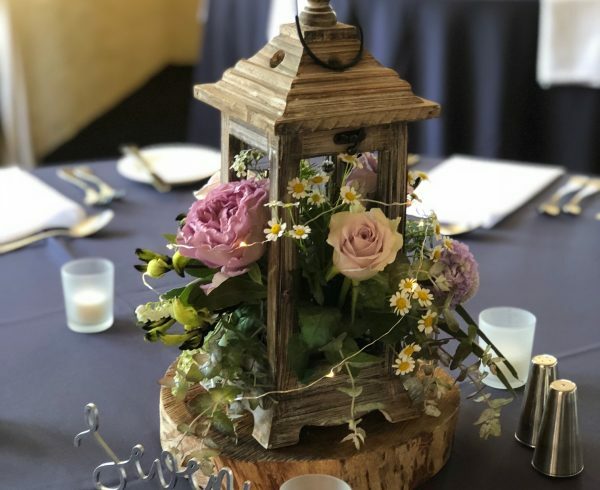 Then it was on to the Oak Room at Sandalford Winery to decorate the guest tables with flowers to match Annette’s bouquet with soft greenery and some greenery going up the candle sticks. 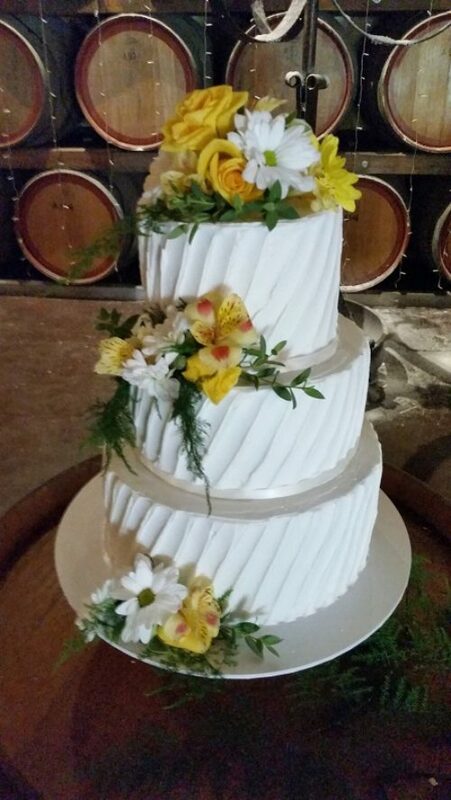 We decorated the wedding cake the creation of The Sweeter Side. 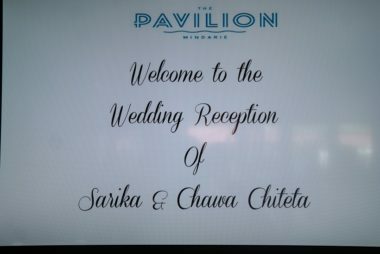 Sarika’s Second Wedding at Mindarie Pavilion. 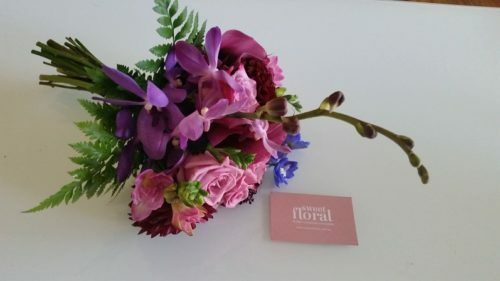 First job on Sunday for Sarika was too deliver her bouquets to her home. 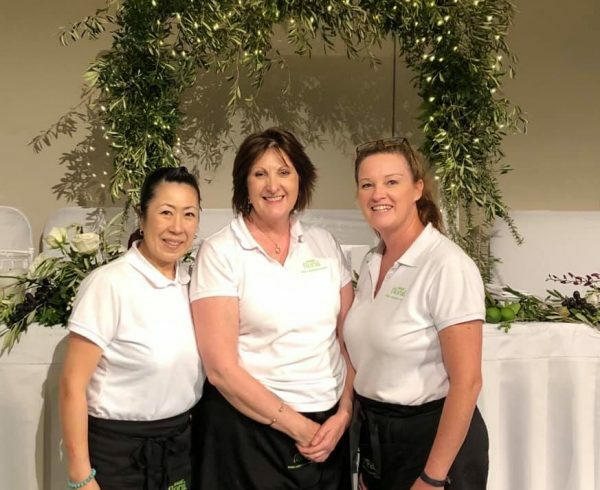 Great while we were there to bump into Perth’s Leading Hair and Make-up artists from Total Brides who were preparing Sarika. We cannot wait to see the professional photographs from Melissa’s Photography. 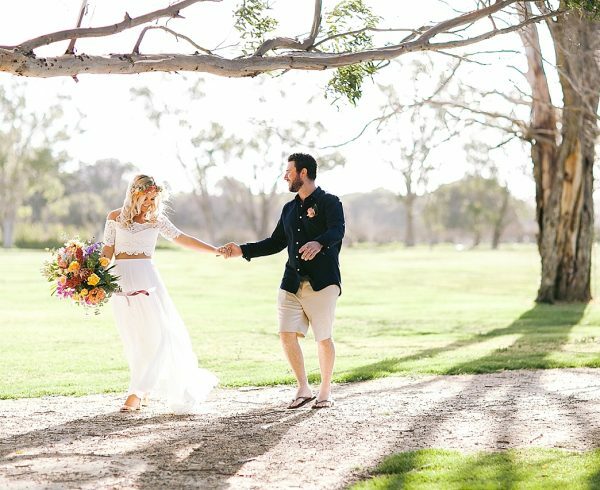 Once again the brief from Holly and Sarah of Confetti & Co. was for lots of colour. We trust we did not disappoint! 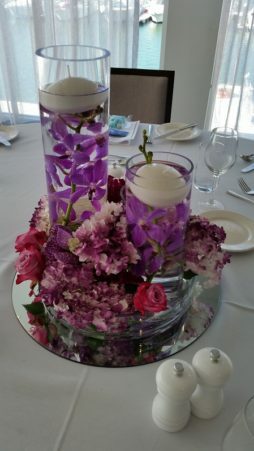 Then it was on to Mindarie Pavilion to set up the wedding flowers at the venue. Certainly a weekend of Beautiful Blooms!